THE LONGER THE LASHES – THE MORE POPPING THE PEEPERS! When it comes to the face, the eyes have it! Sure, the mouth runs a close second, but as most people know, your eyes are the first feature that people notice when they look at you (even if they aren’t aware of it). When applying makeup, even minimally, for attention getting results, focus on the eyes. For starters and most importantly? Long eyelashes! Extra coats of mascara help turn lashes into long layers of lusciousness, but false eyelashes bring out your eyes, and accentuate other facial features, in a way no other item can. 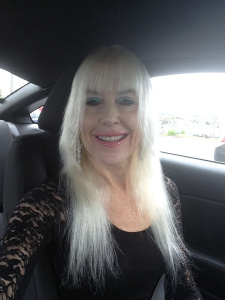 False eyelashes kick every other makeup accessory to the curb! 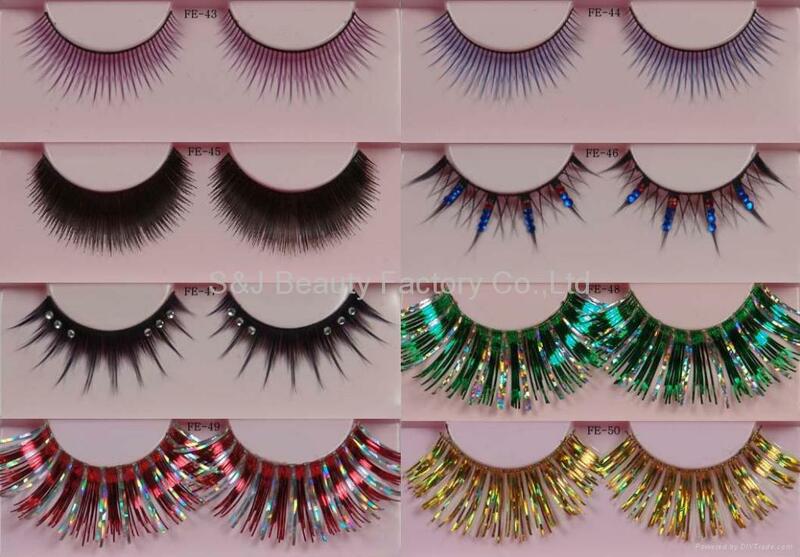 False eyelashes are available in different shapes and sizes, from a more subdued, natural look to an over-the-top theatrical look. False Eyelashes Tip: If you prefer a rounder, more symmetrical eye, have the lashes extend longer in the center. For dramatic, almond eyes, the lashes should extend longer at the ends. Select the size and length of lashes that work for you. 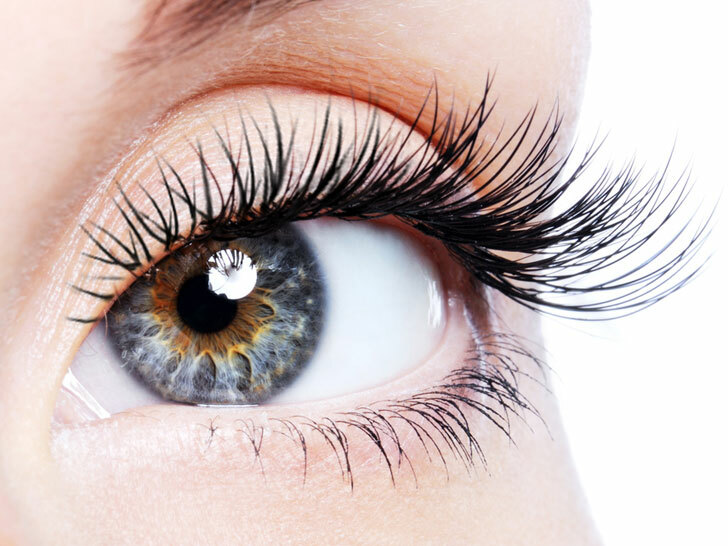 If you want to add extra curl to the lashes, use an eyelash curler before applying the lashes. If using eyelash glue, apply a thin line to the lash strip from the tube. Allow the glue to dry for ten seconds. If the lashes already contain adhesive, you won’t need glue. Apply the strip of lashes so they lie against your own lash line (your fingers or tweezers work well to position the lashes). Pat them into place. Apply mascara if you prefer. This helps blend your natural lashes and false lashes together. False Eyelash Fun Fact: You can go to any beauty supply store and purchase individual lashes and create your own row of eyelashes. 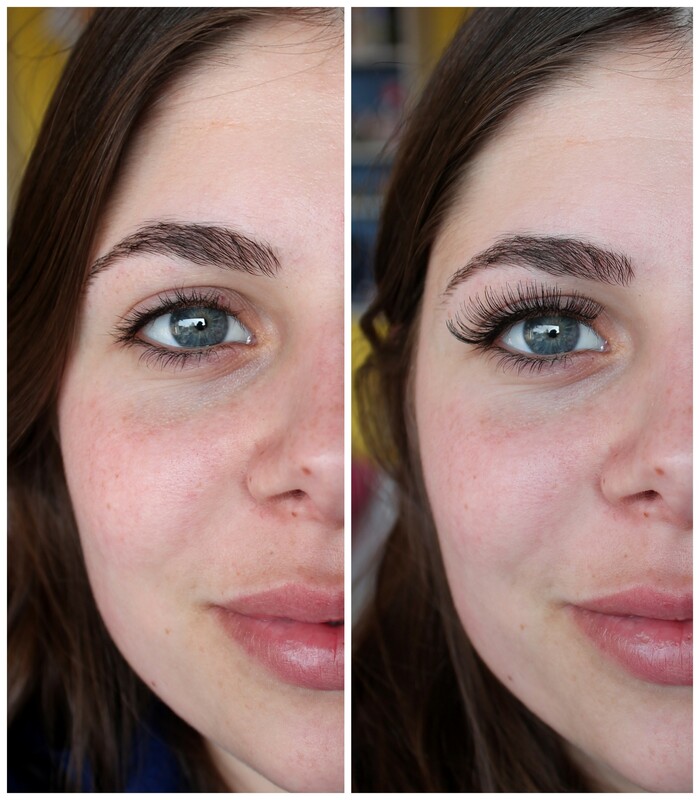 Also, eyelash extensions can be applied to save you the time and effort of putting on fake lashes. Whenever I see someone wearing false eyelashes, their eyes look beautiful and I notice them right away. Your own eye is just drawn to the gorgeous aura that it radiates. Long, splendid eyelashes bring out your face in a way nothing else can. I’ve said it before, as a fashion gal who loves wearing makeup, if I could only pick one item to apply, it would have to be mascara! (Long, fake lashes look even better). Lipstick or lip gloss runs a close second! 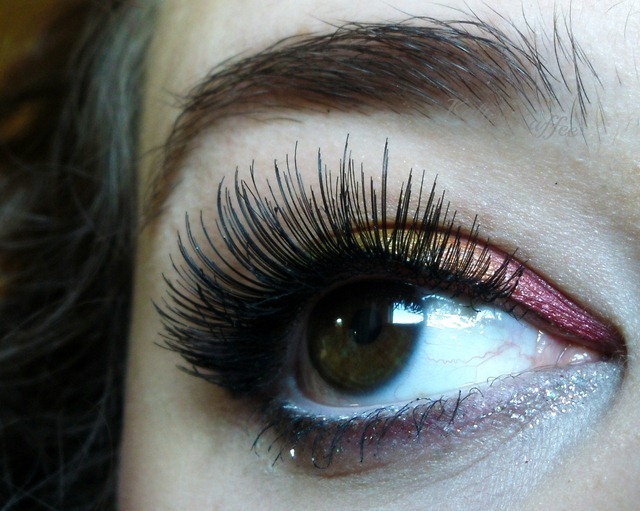 False Eyelash Tip: Another fun way to make your lashes stand out is to apply coats of colored mascara. 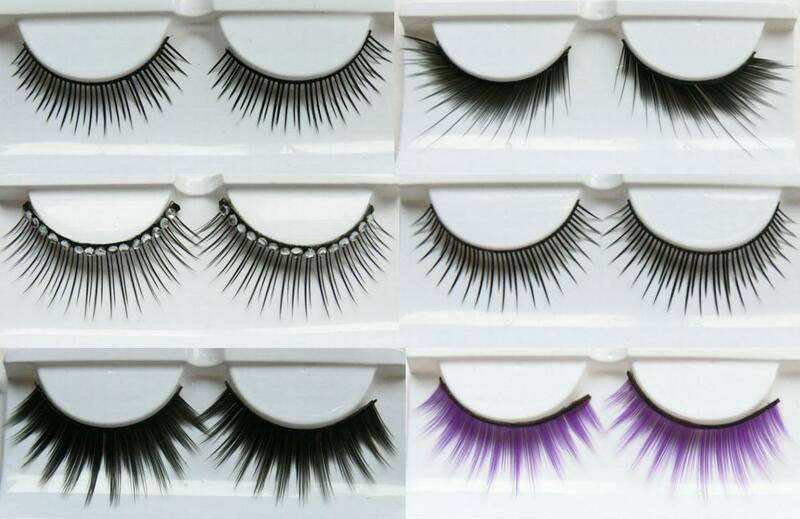 Blue, purple, yellow, pink…you lashes look lovely, give me a wink! When you’re ready to remove the lashes (“But I don’t want to!” you say) oh, well just put them back on another day! Apply warm water to a wash cloth and dab the water on your eyes. 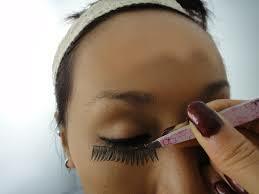 Grasp the outer edge of the false eyelash strip and gently pull the strip from the corner. False Eyelashes Not So Fun Fact: Don’t pull the false lash strip too strongly or you might pull some actual eyelashes out as well. Ouch! When you wear false lashes your face will be a hit – because as any fashion diva knows, the eyes have it! Yes, you’ll never go wrong when your peepers are decorated with lashes oh so long! Watch for Nancy’s next book in her award winning murder mystery series, Deadly Decisions – A Natalie North Novel, coming to bookstores and online bookstores in February 2017.